By wm cheng, September 2, 2003 in The Workshop! Hey, I'm just glad it got done. Really, thank you. w m cheng-you ARE the master!I'm so inspired by your work. Does anyone have the wm cheng builds from the old (cgi-bin) MacrossWorld boards? I'd like to be able to view them if it's possible. First post of this thread edited, YF-19 and Sylph are back. Hopefully more to come. Wow, thanks Dave. I am a big Yukikaze fan and have always regretting not seeing the Sylph walkthrough. OMG, this is great! I really wanna see that super 1A build up. Oh Elintseeker buildup where did you go? Any more progress on the last few buildups? Shawn just announced he found some more stuff from 2002. Might be some in there. Not a single picture is missing. I honestly believe the Elint WIP is the best one William has done. Links dont work for me?? Most, if not all of these links now appear to be broken. Can we get these back or are they gone forever? Even though, I'm not much of a modeler. I really appreciate the detailed work that many modelers put into their models. So, I'm putting together wmcheng's model step by step guides into pdf files with all the pictures for upload to iMacross4. Just one more Macross project I'd like to do. If anybody else would like to put together one of the WMCheng's step by step guide into a pdf, just pm me, so we don't duplicate efforts. I hope that's okay with WMCheng. I hope that the other WMCheng step by step guides can be recovered. Shawn, the MW website guy, is working on getting the old MW forums back online, so the WM Cheng step by step guides might be recoverable. VF-0S guide done. That's it for now until Shawn can fix up the old MW forums! Look under the iMacross4 Macross Miscellaneous for more of WMCheng's models in in .cbr (comic book reader software) format and pdf files. Added in WM Cheng's Model Portfolios .cbr links. 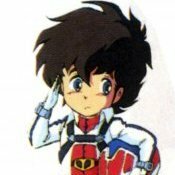 Deleted Bandai Mave step by step pdf due to corrupt file. I have a fresh copy in my rapidshare upload queue. So, I'll have it uploaded in the next 2-3 days. New copy of Mave part 2 guide pdf uploaded. Discovered that Yukikaze fighters.cbr was actually all the completed Mave pictures. MIA pdf ; CBR files re-uploaded. Found 3 WM Cheng threads on old MW forum board. I am updating WM Cheng's modeling guide pdf files. the whole set of WM Cheng's modeling guide pdf files. into .pdf files with the help of wm cheng & >EXO<. I'd love to get a copy of these word documents too! I too wished that some of the older links were recovered, I sometimes refer back to them to remind me of what I did back then too. PM me for my e-mail when you get them done. Interests:Mechas,mechas and more mechas...and air force fighters too. Can you please post a link about all your yukikaze step by step guide? Firstly, hats off to you for putting the time into something so many people will use. Secondly, I think I have most of wm cheng's SuperSylph pics from when the thread was recovered a few years ago. If you would like a copy, please PM me an email address and I'll send them over. Awesome cowie 165, I really appreciate your help. See my above post for iMacross4 weblinks to WM Cheng's Step by Step modeling guide pdf files. Thank you cowie165 for the superslyph pictures. I hope Shawn is able to get the old MW forum back for WM Cheng's lost modeling guides. This weekend, I'm working a couple of night shifts, Mother's day on Sunday, my younger brother wants me to post some more of his computer stuff on ebay and I would like to get back to the Clash of the Bionoids fan edit. So, I'll leave the VF-0S modeling guide for the next week and 1/2. I updated my above post for the VF-0S modeling guide pdf by WMCheng. Now available on iMacross4 rapidshare! Awesome work Boinger, really appreciate it! Any word on getting the old forums back on line so we can see WM Cheng step by step guides? When and if they do I'm saving them all this time. The Bandai Mave step by step guide part 2 pdf was corrupt. I deleted it from iMacross4 and I'll be uploading a working copy in the next 2-3 days. Mave Guide part 2 by WM Cheng pdf now uploaded. This is fantastic! Everything is in one place. Some of the old forums seem to be back - archived, but accessible. Wow, I really love WM Cheng's step by step guides! I'd been looking for that Elint Seeker one for ages! Great stuff! That's GREAT NEWS! Thanks PeterB, I've been searching for those post for ages. @boinger: the wmcheng's model step by step guides (.pdf files) links are down, can you reupload them?